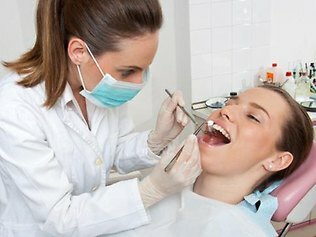 What Aspects of Dental SEO Do You Really Need to Worry About? One of the biggest roadblocks many dental offices encounter as they start to consider SEO is the shear massiveness of what needs to be done. There are a lot of jargon terms that come along with search engine optimization, which further make SEO daunting and difficult to understand. If you are looking to start or continue a dental SEO campaign, you might be concerned by the sheer massiveness of what you think you have to do. Luckily, there are a few things that you can do to make dental SEO more manageable. The first is to hire someone with SEO experience who can take on part or all of a campaign. The second is to understand which aspects of dental SEO are immediately important to you and which you can either ignore or leave until you have a firm grasp on the basics. Content is the first and most important aspect of dental SEO. While keywords are no longer as important as they once were, content itself is still vitally important to SEO. It is the foundation of any good SEO campaign. Your content needs to be useful, relevant, and engaging. The longer your content is, the better. Because today’s searchers don’t want just basic content. They want detailed content that is tailored for their needs specifically. Content is a no brainer and is something that most dental offices already know that their website needs. “Tags” and their need for keywords is usually one of the first things that those who are new to SEO encounter when they are starting their campaign. Your title tag, description tag, and header tags need to contain keywords. These are the tags that describe the page content, act as the content that shows up under your link in search results, and act as the first big headers on your website, respectively. Your images and videos need just as much optimization as your content. While there are fewer places that you can put a keyword, each piece of media that you put on your office’s website will have a tag and some surrounding text. Alt text, caption, and description are all used by a search engine algorithm in order to determine whether or not a webpage is relevant to a searcher’s needs. How many links there are on other websites to pages on your website is one of Google’s biggest ranking factors. Google uses this metric in order to determine how legitimate your website is. The more legitimate your website is, the more likely other website are to link to you—at least, that’s what Google’s algorithm believes. You can easily generate offsite links by guest blogging on other blogs, by answering questions on websites like Yahoo Answers, and by posting on relevant forums. Google prefers websites that are consistently updated to websites that are using the same content right now that they were using two years ago. The older your website’s content is, the less likely you are to be ranked highly, simply because most search engines believe that newer content is going to be more relevant. This is why having a blog is a great way to keep your website fresh—when you update that blog, you automatically add fresh content to your website, without having to go back and completely rewrite all of the content on your pages. Social media campaigns do not exist in a vacuum. Your presence on social media has a huge impact on your page rankings. The more active you are and the more followers you have, the more likely Google is to see your website as relevant and useful. Building social signals is one of the more esoteric aspects of dental SEO, but if you are trying to beat out your competition, making sure that you have strong social signals can make all the difference. Being active on social media also gives you a venue for sharing the content you write on your blog, which will hopefully be shared by your audience to their friends and followers, granting you a much wider reach. While there might not be a way for Google’s algorithm to actually look at your website and determine just how easy it is to navigate—navigability has to do with the words on a page, as well as site architecture and design elements—it can tell how long site visitors stay on your page and whether they are likely to quickly click away after clicking on your website or whether they are likely to stick around and try to use the website. Websites that are difficult to use are usually quickly abandoned, while websites that are engaging and easy to use tend to retain visitors. The faster your webpages load, the more likely your visitors are to stick around and find them useful. If your website loads slowly, the more likely that visitor is to click away and just find some other dentist to make an appointment with. Your SEO depends on a website that loads quickly and is therefore more engaging. While there are far from the only factors that Google looks at when determining where to rank your website, these are eight of the most important and eight of the easiest to make changes to.